With the sheer strength of his muscular body, Crusader Guy de Warenne overpowered his captors and fled the hell-hole of the Syrian prison. Yet he couldn’t leave Damascus without rescuing the lovely violet-eyed “slave girl” who had saved his life by tenderly caring for his battle wounds. Never did he imagine that his damsel in distress would become a hot-blooded temptress who would torment his days and nights with every move of her innocent young form. 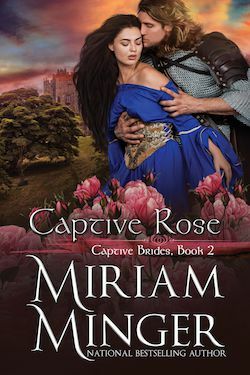 She is Leila, a raven-haired English beauty kidnapped in infancy, schooled in medicine by the wealthy physician who adopted her…and trained in the sensual delights of the harem. To Leila, the Crusader is a savage barbarian who ravaged her adopted homeland and ruthlessly carried her away to serve his own purposes. Yet, even in her fury, she is drawn to this man of unexpected tenderness and awakened to a raw, sensual power that will carry them both on a tumultuous journey into adventure, danger, and love.